Our worktask this morning was at the maze. It was colder than we were expecting and we even had some hailstones and rain showers every so often. We mended pallets, shifted stones and weeded the inner circle, and even found a little lizard – who did not move very much having been fooled into thinking that the earlier sun meant it was warm! Thanks to everyone who came including two new volunteers Sue and Vanessa. Categories: Uncategorized | Tags: Dalby, Dalby Forest, Maze, wildlife | Permalink. Categories: forest garden, Worktask | Tags: Dalby Forest, forest garden, nature, volunteer, volunteers | Permalink. This month’s work task saw us working at Staindale Lake. We were joined by members of the GoodGym running group who are a group of runners who “run to do good” via community work. They were racing at the Dalby Dash 10k race but offered their services for an hour before the race so they were put to work pruning the accessible trail around the lake. We greatly appreciate their help and hope they had a good run afterwards! Regular Friends of Dalby welcomed new volunteer Judith F, newly arrived in the area, and our work focused on the area around the bird feeding area. A thick humic soil had built up around the feeders and it was getting very muddy during the winter and made access difficult. As we discovered, a lot of this was simply a build-up over tarmac and so the water just had nowhere to go. Hopefully having clearing it back will make things easier. In addition we dug out a ditch behind the feeders to further help with drainage and the birds immediately sprung into action to get at all the newly uncovered worms! We also moved the feeders that were hung in the trees (almost impossible to get at during the summer when the trees are in full leaf) and hung them on a newly installed arch and have made room for two new bird tables we’ve arranged to be made. We have further plans for this area, not least to install a bench to enable more comfortable bird watching. Watch this space! Thanks to Jeni for the pics! Categories: bird feeding, Worktask | Tags: birds, volunteer, wildlife | Permalink. 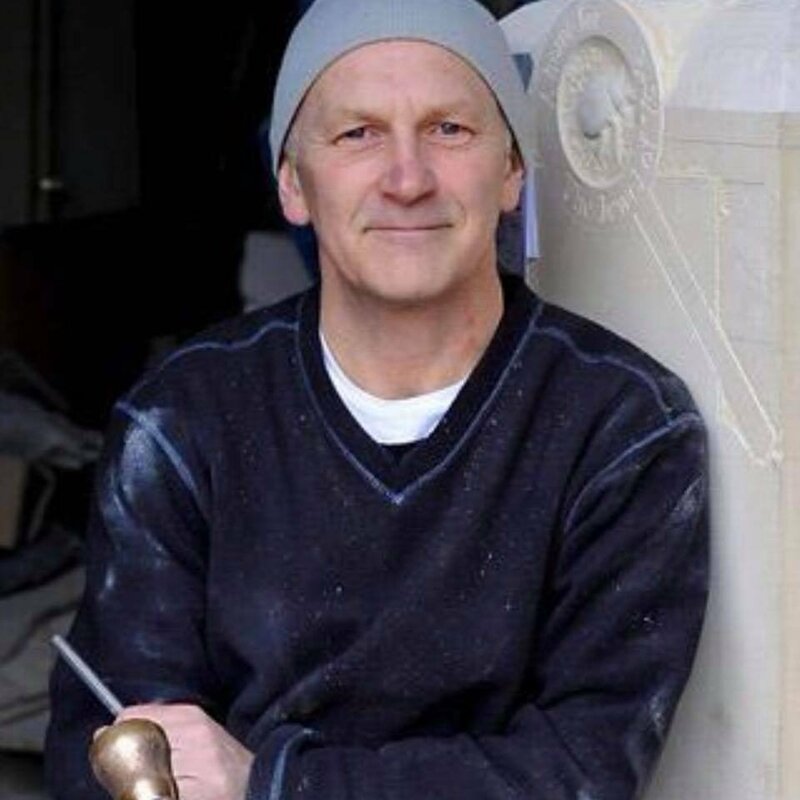 We are very pleased to announce that Peter Maris will be holding the Dry Stone Wall Maze Initial Carving Workshops throughout 2019. Peter will also be holding three Christmas workshops on 1st, 9th & 15th December 2018. They’ll go quick so book your place soon! Categories: Art in the forest, dry stone wall maze | Tags: Maze, Stone | Permalink. The Friends of Dalby Forest will be at the annual Fear in the Forest event on Halloween night (31 October). Amongst the live bugs and bats, Wizard Phil and Haunted Hedy will be helping the younger visitors with some spooky crafts. A bit of a wet one today but we did some trail clearing in advance of Fear in the Forest at the end of the month. Thankfully topped off with a nice hot drink at the cafe courtesy of ranger Paul. Some of us also took a quick trip up to see the new Nissan hut installation by Rachel Whiteread near the Adderstone. 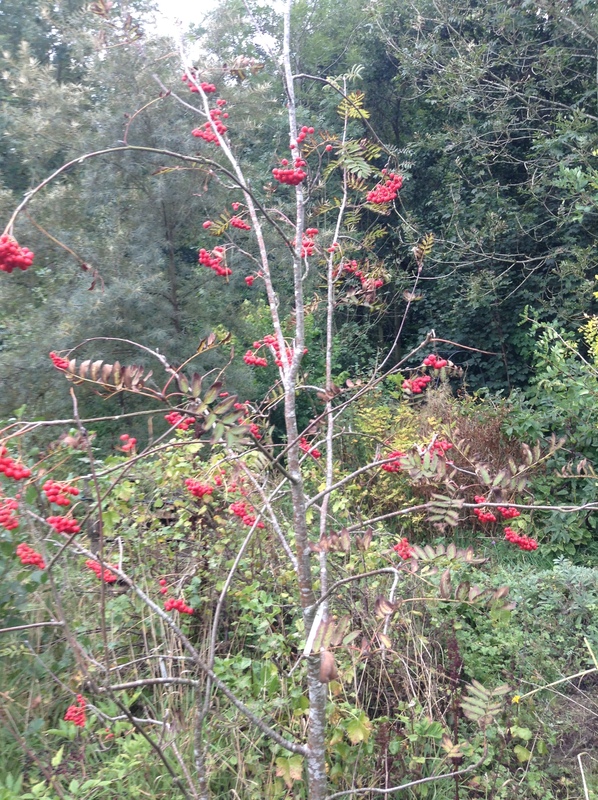 Despite the rain, it was still lovely to see all the Autumn colours coming out. Categories: Art in the forest, Worktask | Tags: art, autumn, Dalby Forest, Nissan Hut, work task | Permalink. Thank you to all the volunteers who came along to the work task this morning. There were only 6 of us but it felt like we achieved a lot. 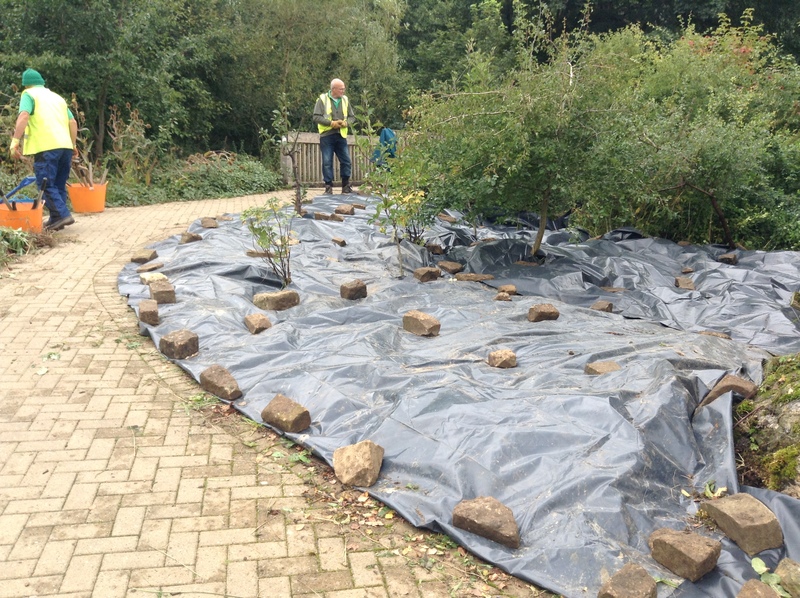 We laid a membrane to suppress the weeds in the area behind the cafe at the courtyard (it’s very stony so that seemed the best way to kill off the weeds). We will work in this area next year as it is technically also part of the forest garden. We have lots of strawberries and currants to plant there. 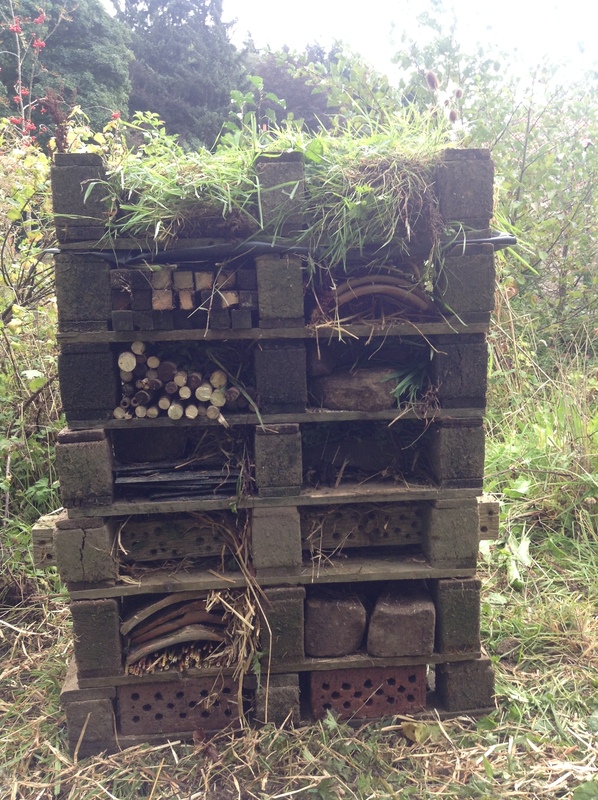 In addition, we built a bug house (hotel?) with some pallets kindly donated by Mark from the maze . 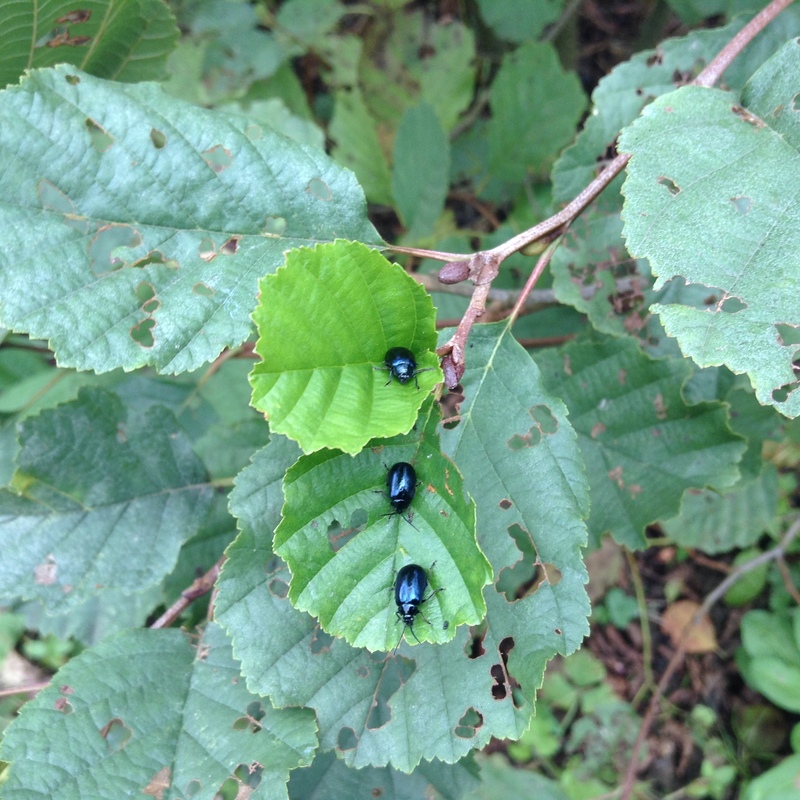 There are so many insects in the garden especially ladybirds and beetles at the moment, so we hope they enjoy their new accommodation! Categories: forest garden, wildlife, Worktask | Tags: volunteers, wildlife, work task | Permalink.